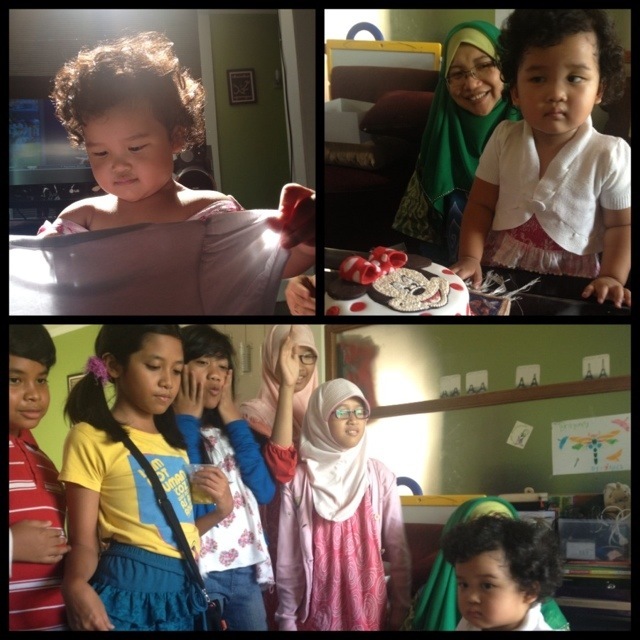 Our cute niece Maryam celebrated her birthday last Sunday. Such amusing moment we had with her, from her reluctance to cut the birthday cake (as it has Minnie Mouse-her favourite character-face on top of the cake) to her joy getting a new dress as present (top left). Love you cutie!